The JV Baseball team beat William Monroe 5-4. J.P. Utz was outstanding on the mound going 5 1/3 innings and allowing only 3 earned runs. Bradley Nicholson picked up the win in relief allowing no hits and no earned runs in 1 1/3 innings. Ryan Taylor led the offense with 3 hits, 3 RBI and 1 run. His double in the 6th inning drove in the tying and winning runs for the Mountaineers. Mason Bowman had 2 hits and scored a run while Dustin Farmer, Utz, Collin Shifflett and Sam Taylor each added a hit. 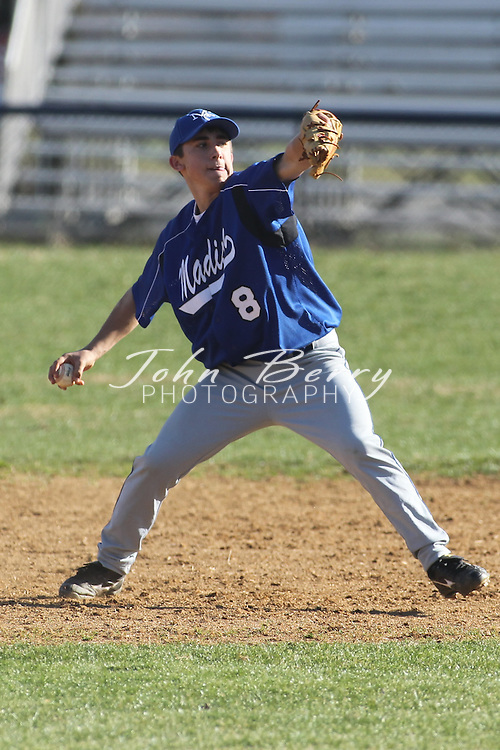 Date: March/18/10, MCHS JV Baseball vs William Monroe Dragons. Madison defeats William Monroe 5-4.